Home News Is Tesla Already Building 6,000 Model 3s Every Week? Is Tesla Already Building 6,000 Model 3s Every Week? As we all keep drowning in the deluge of ‘will they really go private or not?’ Tesla news, the Elon Musk led company has quietly registered 17,425 Model 3 VINs in the first week of August. It’s a huge one, because Tesla registered just 21,072 Model 3 VINs in July. Tesla is shy of that target by 3,647 and we still have three more weeks to go for the month. Of-course registering VINs does not mean that Tesla has already built the car and its out for delivery. To bring in an analogy, its more like a relay race with a small twist. You wait for the next runner to catch up and as soon as he gets closer, you start running again. Automakers will forecast their orders, register the VINs, wait for orders to catch up and as soon as it gets close, the will register the next batch and keep doing it over and over. So there will be a mismatch, but never too wide. That’s why, instead of looking at absolute numbers we need to look at the pace of VIN registration. At the end of June, Tesla had reached peak production of 5,000 Model 3s. The company registered a bit more than 21,000 Model 3 VINs in the month of July. Had their production tapered off, then there would have been a backlog and Tesla would have slowed down VIN registration. But instead, Tesla has accelerated – registering a whopping +17K VINs in the first week of August. Tesla must have held its pace of production in July and there is good reason to believe that they have now settled over building 5,000 cars per week. Bloomberg tracker validates my theory as it estimates Tesla to be building 5,538 cars every week and expects Tesla to build more than 5,500 cars in the next few weeks. Tesla sold a record 14,250 Model 3s in July, rising to become the seventh most sold passenger car in United States. It’s a huge statement in itself, because the average selling price of currently available Model 3s will be well over $50,000. Tesla has always had the demand, but what they lacked so far was the ability to build cars at a pace that can quench the demand. 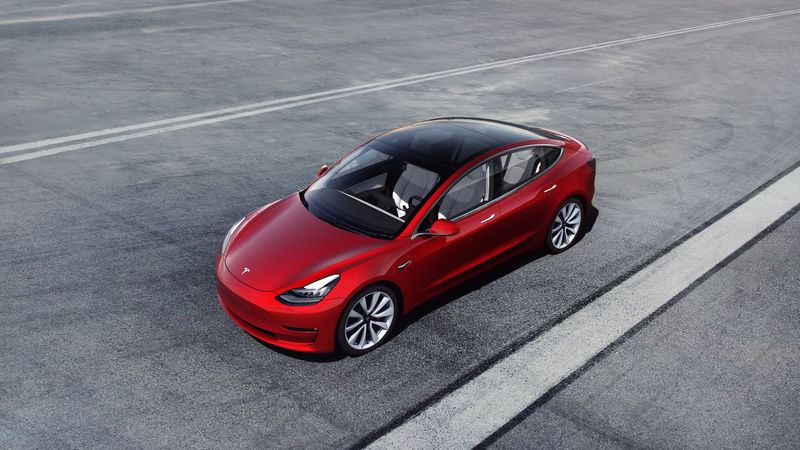 If Tesla starts building 6,000 Model 3s per week, a self declared target for the company to achieve by the end of this month, then it will help the company to quickly clear its North American order backlog and start shipping overseas. As I wrote in my earlier article, I am expecting Tesla to start delivering Model 3, at least P3D, in Europe by the fourth quarter. The earlier the better.